Casa Fernandez New Cuba Corojo Robusto cigars bring you outstanding quality and great flavors for a very affordable price. 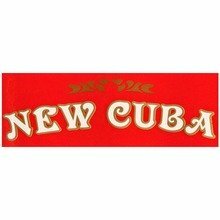 The cigars are rolled in a popular 5 x50 ring format with a blend of Cuban-seed Nicaraguan tobaccos finished with a stunning reddish- brown Corojo wrapper. Expect a perfectly balanced medium body smoke loaded with hearty flavors of pepper, earth, roasted nuts, and coffee. This is an everyday bundled smoke with the look, feel, and taste, of a costlier high end offering. Horrible. Absolutely horrible. I split a bundle with a friend and we thought these were just awful. They taste what I would imagine smoking a rolled up paper bag would taste like. I haven't had this crappy of a cigar in quite a while. AVOID! I can’t say anything bad about the draw or construction, but the cigars themselves are flavorless and I can’t take a single puff without getting a mouthful of “bits” every time. Won’t order again . These might have been good if they did not arrive all dried out. You couldn’t even cut them without them falling apart. I will not be ordering again as they were awful. All I can say is ok. Would rather smoke a Quorum or a Cuban round at this price point.